When putting the input shaft back in, I understand this has to be done in combination with the output gear and chain, which I have been trying. Am finding it very difficult to get the input shaft bearing to seat in its recess in the case. It doesn't want to seat straight, as the chain seems to pull it over to one side so it ends up going in (ever so slightly) skew. I've also tried freezing the input shaft and heating the case to give that bit extra tolerance, but that didn't work. I remember struggling alittle with this myself as well. No real good tips i`m afraid, i just had to ensure the parts lined up perfectly before entering the case, and ensure the chain is not tensioning up one side. Had several attempts before it finally fit into place. A thin film of oil on the parts helps alittle ofcourse, so they dont shear at all when slightly skew, but other than that, just trying over and over again..
Maybe @yakuza has some inputs as well? Good luck on this, it all pay`s in the end.. Really happy with my gearing! No seriously. I had to take it out after several tries and rub the edges of the hole a bit with fine grade sanding paper. Must be very careful with that and not take of anything else than the edge where it may had gone bad. Do lube everything well. grease and oil. not very much, but just right on the right places. Try to put the bearing in without the chain attached so you know it fits. try gently to tap with a hammer it so it enters straight. do take your time and do it gently and take care on the angle of it looking at it from two sides so you get the proper impression. I fastened my housing to the work bench to keep in full control. I was just amazed at how many times I could find the three small balls when they kept snapping out flying around my messy garage.. I had to do this in and out a hundred times because my sync ring was broken. But except for the ring getting broken it was sure worth it. great gearing both high and low. I think i could swap to 30 or 31" tires now.. Yes had the steel balls shooting out all over the place on a few occasions already, also surprised at how easily I've found them each time. I've managed to make a few ridges in the wall of the hole that the bearing fits into so am going to have to lightly sand those so they're smooth again. I'll then do as you say and test fit it without the chain. Thanks again, looking forward to getting the gearing changed, think it'll bring so much to the car's performance both on-road and off. Venter wrote: Thanks chaps, good advice! I held the clutch assembly down into a plastic bag while installing the springs and balls.. That way the parts where easy to find again! Inside the transfercase they normally are very easy to find after pulling the axle to high, as they cant get pass the clutch. 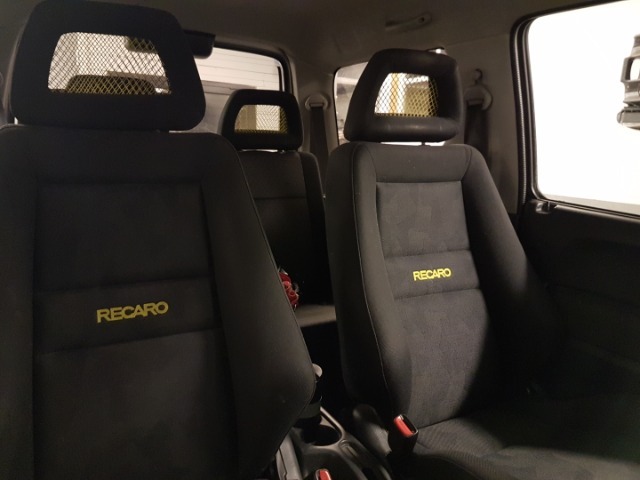 Finally, after a long time search for recaro seats, i got a set delivered yesterday! Finished fitting them today, which was a easy task with minor modding only.. Very happy with them! Looks good, and are very comfy to sit in! 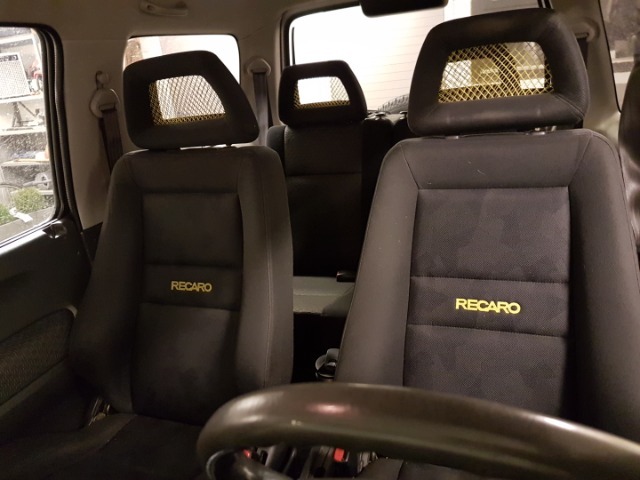 A bit costy as we dont have the Ignis sport in Norway, so had to get them shipped from UK, but it was worth it.. 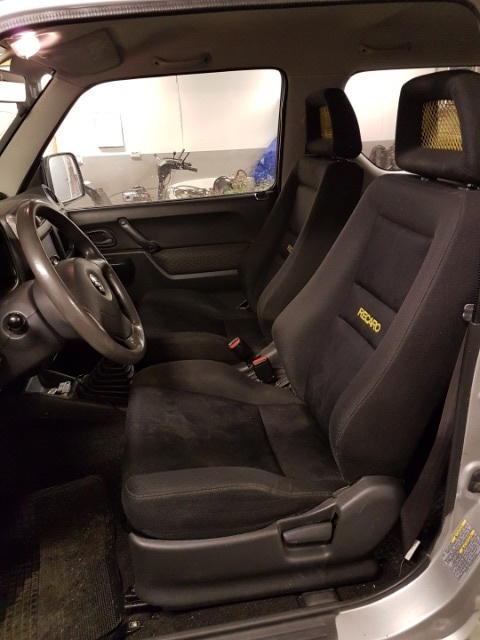 Considering colouring the grey part of the rear seats into darker grey/black, but to my surprise it didnt look all that bad.. We`ll see later on..
the best seats for a jimny. 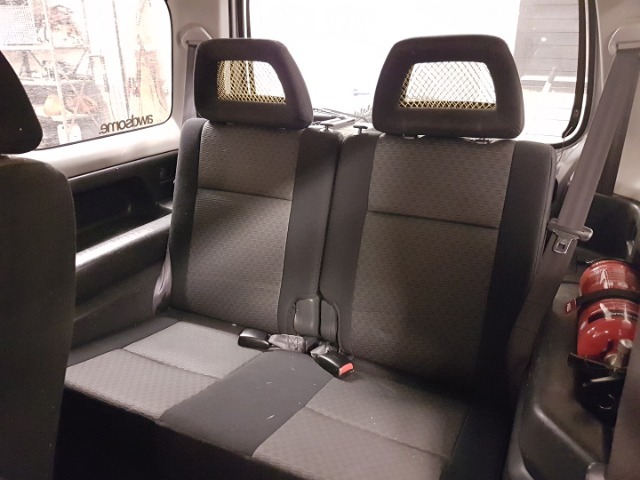 You have done well with the back seats as well! Looks good! Do they slide okey? Did you measure the bar? MadsV wrote: Looks good! Do they slide okey? Did you measure the bar? They slide OK, but not perfect. Good enough! I extended the bar approx 23mm..
Can you please tell me - is your transfer box mounted with the original mounts or the straight through bolt with nylon bushes type of heavy duty mount? kirkynut wrote: Can you please tell me - is your transfer box mounted with the original mounts or the straight through bolt with nylon bushes type of heavy duty mount? At first i mounted it with the straight through HD mounts , using the jimnybits metal brackets/mounts.. Way to noisy for me for daily driving. So i bought a new set stock mounts that ive been running for some months now, still using the metal JB mpunts.. Still not quiet, but a hellofalot better than HD. Ive got noise reduction mats almost on the entire floor, which helps alot for road noise, but gear whine goes straight pass it.